This article was posted 2 years ago and is filed under Global River News, SEO Tips, SEO Work, Web Design. Launching new WordPress ecommerce websites in plenty of time for Christmas is nothing new for us and was always in the brief given to us by Pete and Brian, the two owners of Wine Buffs Ltd a wine merchants based in Warrington, Cheshire. We completed and launched www.auswinesonline.co.uk at the beginning of November and the website took plenty of orders within the first few hours! Brian and Pete bought Wine Buffs Ltd some 4 years ago and as well as their retail space in Warrington, they purchased a very successful ecommerce website selling primarily Australian Wines – www.auswinesonline.co.uk. Much of their customer base resides in Australia and order regularly for loved ones in the UK. Wine Buffs import all of their wines direct from each producer which means they can deliver high end wines for reasonable prices. Having pointed a number of SEO software tools at their original website we could see plenty of ways to improve the site’s Google Ranking, and we used this information when designing the website. Browsers can now shop by Region, Producer, by Grape and Colour. As well as making browsing easier, this makes the site more likely to attract traffic from potential customers searching for Wines from a certain Region, Producer, Grape or Colour! We will be working with Wine Buffs Ltd to monitor the website traffic and conversion to ensure we deliver on our promise of strong traffic and sales growth in 2017. Having spent their careers delivering large IT implementations in to Huge Corporate clients, Pete and Brian were clear that we work with them to match their processes as closely as we could. 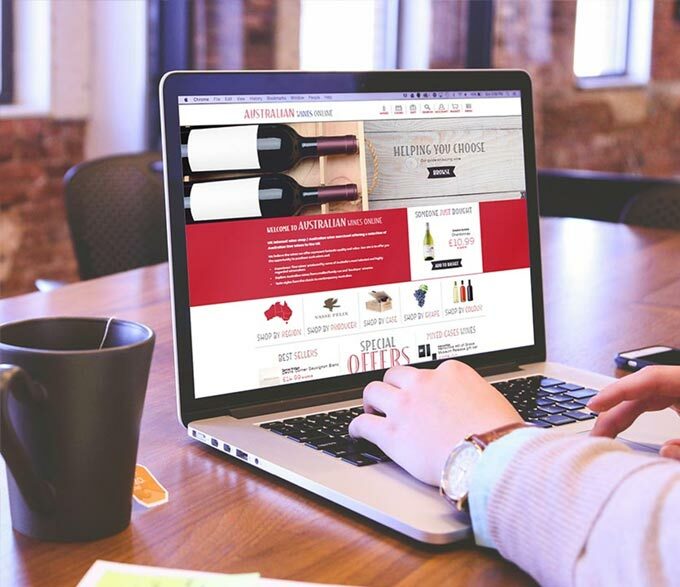 Whilst Woocommerce (the WordPress ecommerce system) offered plenty of improved features and functions, Wine Buffs had a system that worked for them. To make the transition easier we purchased and installed a range of plugins to deliver the additional functionality required to match their processes as closely as we could.